16 Days of Activism against Gender-Based Violence is a historic and international public awareness campaign designed to mobilize governments, activists, civil society and others to end violence against women and girls around the world, an issue that affects as many as one in three women and girls worldwide. The campaign takes place each year from 25th November, the International Day for the Elimination of Violence Against Women, to 10 December, Human Right Day. 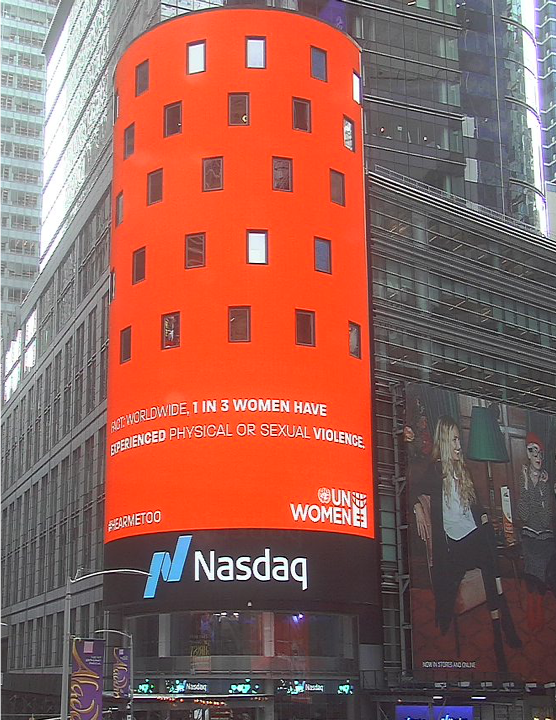 The campaign has been commemorated by UN Women since its inception in 2010, and the 2018 United Nations theme for the International Day for the Elimination of Violence against Women was “Orange the World: #HearMeToo”. It aimed to honor and further amplify voices, whether a housewife at home, a schoolgirl abused by her teacher, an office secretary, a sportswoman, or a boy who is an intern in a business, bringing them together across locations and sectors in a global movement of solidarity. It was a call to listen to and believe survivors, to end the culture of silencing and to put the survivors at the center of the response. WPP, with media support from GroupM helped to create 6 unique campaigns to draw awareness and promote messaging around 16 days in the UK, US, Mexico, Thailand, India and Turkey. 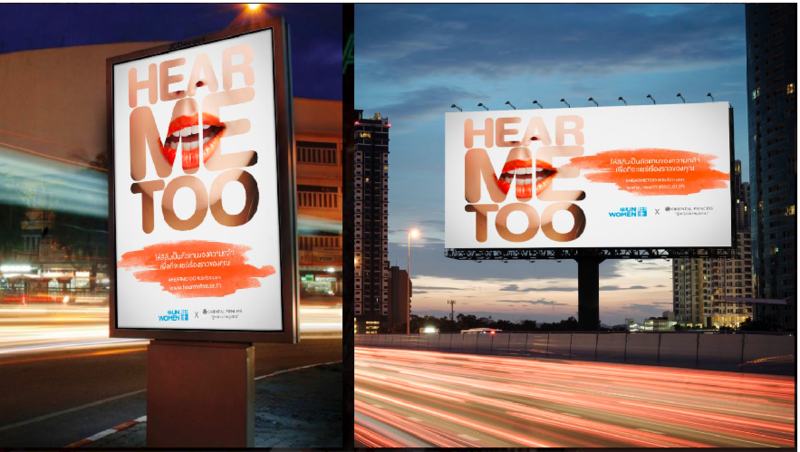 The UN Women offices worked with JWT and GroupM agencies in these markets to create bespoke creative and media strategies that were locally relevant and impactful. These included influencer strategies, interactive websites, contextual ad placements, PR outreach, digital OOH, radio placements and much more. The support paid off with almost 60k unique page views and a massive $2.8m in donated pro bono media from global partners including: Oath, Snapchat, Facebook, Spotify, Pinterest, and Amazon, and local media partners including: Boardway, Republic TV, Cattri, SHOWTV, Ocean, Primesight, All4, CNN and Kinetic. This was a momentous effort for all involved and allowed the agencies, partners, and clients to rally together to donate support and create influential work for such a paramount movement.